Maybe you're seeing this and you're thinking: Gee, maybe I'd like one of these Echo things after all. Well, here are all the devices that work with Amazon's black tube. You'll already see the SmartThings Hub on the page, and it will cost you $99 if you don't have one yet. You know, now's starting to look like a pretty cool time to start filling your house with smart stuff, especially when you consider that Echo also works with Wink-compatible devices. Unless, that is, you don't find flipping switches and pressing buttons the old-fashioned way all that annoying. While we're on the subject, feel free to check out the new Alexa Lighting API if you're a developer or enthusiast looking to give Echo more control over your home's light bulbs. 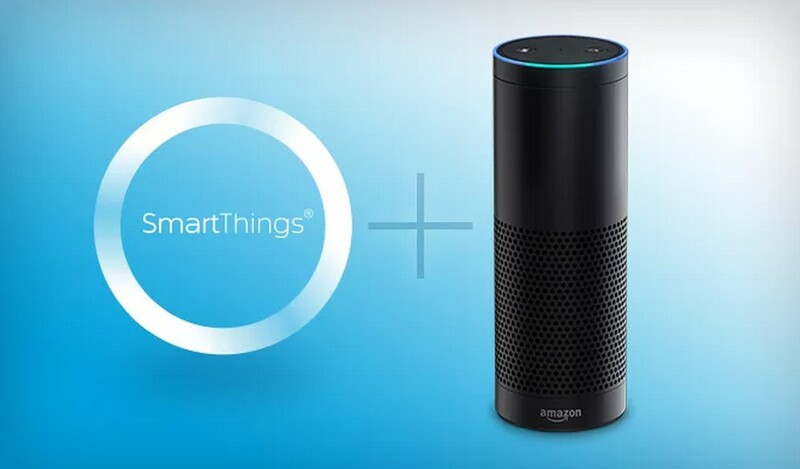 You can now control even more connected home devices with your voice using Amazon Echo. In addition to controlling lights and switches from Belkin WeMo, Philips Hue, and Wink, Echo now supports Samsung SmartThings—including the new Samsung SmartThings Hub, the SmartThings Outlet, and the Lightify Smart Connected LED. A full list of Echo compatible devices can be found here. "Alexa, turn on the television." "Alexa, turn on the stereo." "Alexa, turn off the lamp." "Alexa, turn on the porch light." Last week, we gave you an early look at a few third-party Alexa skills, including StubHub and Crystal Ball. Thanks @CariAL88 for showing us how you used Crystal Ball. This week, we have a few more skills for you to try. If you love playing games, you can try Bingo. If you're a cat lover, you might enjoy Cat Facts. To use any of these new skills, you will need to enable them in the Alexa App. Simply open the app and tap on "Skills" in the menu, and then press "Enable" for the skill you want to use.